Over six million car accidents happen every year in the United States. However, most drivers think, "It'll never happen to me." While you may take every precaution you can to protect yourself, sometimes accidents still happen. That's why it's always best to be prepared with a list of Do's and Don'ts after your car accident. Were you injured after a car wreck? Call our legal professionals for a free case review. We'll answer your legal questions and determine the best course of action for your case. We're available at 1-866-943-3427 or by simply completing the form located in the top right corner. There's no fee when you call and no obligation to use our services. Get the legal help you need. Call us today. Seek Medical Attention – If you – or anyone else – have been injured in the accident, seek immediate medical help. Contact the Police – Documenting the accident is a crucial step toward building your case. If you don't contact the police, it becomes a matter of your word against the other driver. Take Photos – Whether you keep a disposable camera in your car or use your cell phone, we recommend taking pictures of your vehicle and the area surrounding the accident. Note road conditions and possible hazards that may have contributed to the accident. Gather Details – Note the date, time, and weather, along with marking the location and any landmarks. If possible, draw a diagram of your accident as well. Report it – Make sure to notify your insurance agent as soon as possible, but don't say or sign anything until you speak with an attorney. Don't Panic – Remain calm after your accident and call for help. Don't Leave – Stay at the scene of the accident until help arrives and you've exchanged information with the other drivers and witnesses. Don't Discuss – File your report with the police and contact an attorney before you speak to anyone else. Don't Accept Blame – Don't admit fault to an accident. There may be many different circumstances of which you aren't aware. Also, don't accuse the other driver – let the evidence speak for itself. Don't Record a Statement – if either your insurance company or the other driver's contacts you, don't agree to being recorded. It's your right to say no. They will attempt to confuse your story and hold it against you at a later date. Call an attorney first. Don't Sign – If an insurance company gives you paperwork, review it with a lawyer before you sign anything. Don't Settle – Don't accept any settlement until after you've consulted with an attorney. We'll make sure you get fair compensation for your injuries. 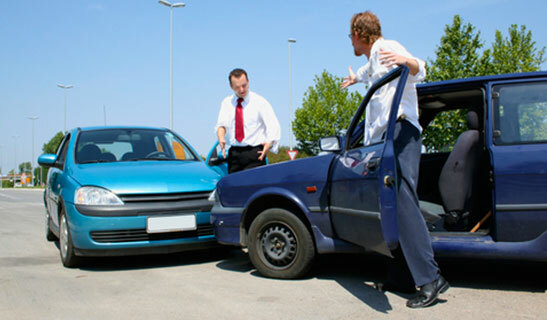 Don't Wait – Evidence disappears quickly after a car accident. Contact us today, and we'll get to work preserving the evidence and building your case.